Shakhrisabz, outside of Samarkand, is the hometown of Amir Timur (Tamerlane). Once a majestic city in the 14th and 15th century, it was destroyed by the Emir of Bukhara in the 16th century. Although not quite as ruthless as Jenghiz Khan, Timur was also pretty sadistic. 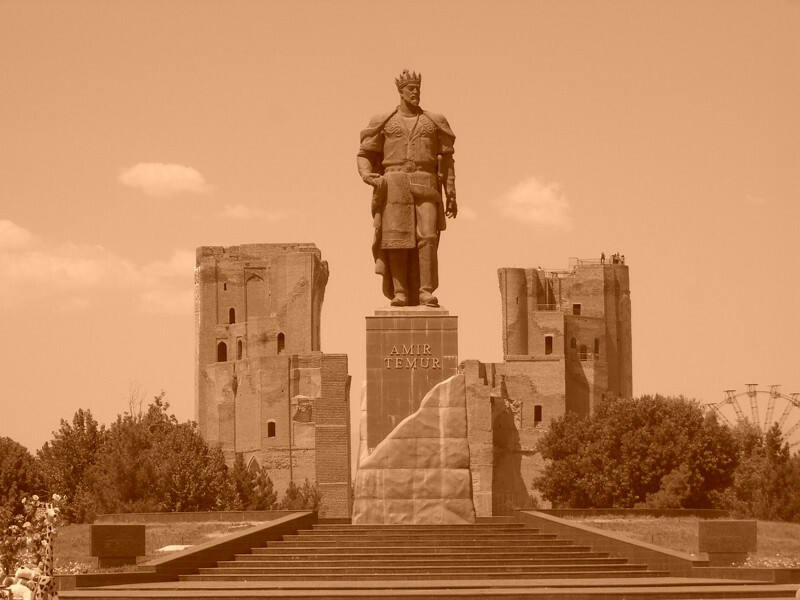 Today's ironies: he's now considered an Uzbek hero, though he wasn't ethnically Uzbek. Read more about Uzbekistan's Silk Road Cities.